The plan was to spend a good part of the day on my book. Having looked forward to this day off from work for a week, I mulled over phrases and thoughts from where I left off last time. I woke up early, ready to take on the day. Sitting up to get out of bed, I took a deep breath and expanded my chest, startled to feel chest pressure and heaviness. Moving forward with usual morning things, I waited for the chest pressure to go away. And this is how the day went–waiting for chest pressure to go away. Rarely do I have a full day like this anymore. I have figured out it seems to come during times of stress and, therefore, I try to avoid getting worked up or feeling stressed out. But, of course, in life this isn’t always possible. Or, chest pressure comes when something really bad is going on with my heart. So my worries on Thursday were, Is it extreme pressure? Are my hands sweaty? Does my jaw hurt? Monitoring symptoms takes vigilant energy. My symptoms were relieved when I sat down and rested, so most of the day was spent resting. And being frustrated. This is the chronic part of my heart and vascular disease. Symptoms and extreme fatigue pop up, without regularity, as if to say, “Don’t forget, I’m still here.” I feel a bit sorry for myself, frustrated over the lack of energy and mental space to even work on my book. A day lost. A day sick. These reminders come, always unwelcome, but usually with a lesson or a positive outcome. This day of rest reminded me of how grateful I am to feel well most days. More good days than bad is a good thing. And now I have plans to work on my book one day next week. Some of the thoughts and phrasing may be different, and just may be better. Make is a good week! This entry was posted in Diary, Motivation, Uncategorized, Writing and tagged chronic illness, heart disease, lessons, writing by Because I Lived. Bookmark the permalink. 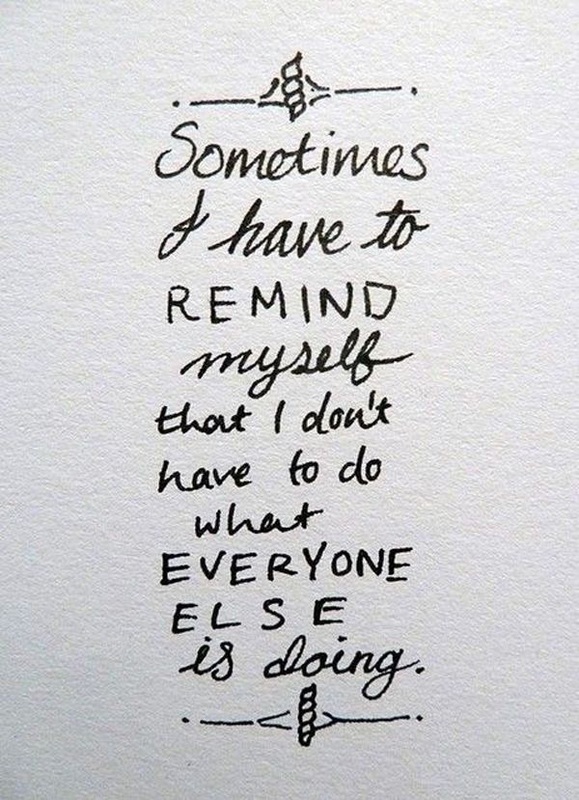 “Sometimes I need to remind myself that I do not need to do what everyone else is doing.” I can relate to that so much. Great post. Thank you!! You are so young to deal with chronic pain and fatigue, but I love you attitude too. Thank you for sharing this experience, I’m glad you’re ok. My back is nowhere near as serious, but I can relate a little bit. Last Sunday I looked forward to having a productive day blogging, but my back and neck flared up and I spent most of the day immobile and in pain so bad I couldn’t think straight. Those days unfortunately happen from time to time, but they do remind me to really be grateful for the good days. I’m glad you are doing ok Jennifer and that this wasn’t anything more serious!